Großes Hauptquartier, 21. April 1916. Generalfeldmarschall Freiherr von der Goltz ist nach zehntägigem Krankenlager am 19. April im Hauptquartier seiner türkischen Armee am Flecktyphus gestorben. Continued fighting for Hill 60. French take "the Cow's Head", two lines of trenches, near St. Mihiel. Russians take Hill 1002, north-east of Lubonia (Carpathians). Affair between frontier guards on the Austro-Italian frontier. Mr. Lloyd George delivers a speech on the capacity of the country for producing munitions. British gain ground east of Fampoux (east of Arras). Decree of Russian War Minister re: Army. British capture Turkish front line at Istabulat (evacuated by Turks during night). Cossacks repulse Kurds on Diala (north-west of Kasr-i-Shirin). Premier returns from Savoy Conference. Local fighting round Albert, Villers Brettonneux and Robecq. Great aerial activity and much bombing on whole front. German airman, Captain von Richthofen, killed. Result of 29 days' bombardment of Paris: 118 killed, 236 injured. Australian Roman Catholic Bishops protest against Government action in Ireland. New constitution of Versailles Council announced. The King sends message to munition workers. Sir M. de Bunsen sent on Mission to South America. Woodrow Wilson, who from the Mexican view, should have stayed out of his neighbor’s family feud, felt he had a moral right to intervene in Mexico in 1914. Trained as a Presbyterian minister, the former college professor, and all-round moralist, saw it as his duty to “teach them to elect good men.” He could never understand why the Mexicans rejected him as a guide. The Mexicans resented his meddling, and moreover, what had started the Constitutionalist rebellion was U.S. meddling, specifically Ambassador Henry Lane Wilson’s role in Huerta’s coup at the behest of the dominant foreign economic interests. Wilson dispatched a friend, his campaign biographer, William Bayard Hale, to Mexico in 1914. Hale, a New York Times reporter, spoke no Spanish and had never been in Mexico before. But Wilson trusted Hale, and Hale understood Wilson’s idealistic belief in constitutional democracy. Working undercover1, Hale unsurprisingly reported that Huerta was a tyrant with no popular support. It was control of the oil fields – and the revenues from the oil fields that let him buy foreign munitions – that kept him in power. William Bayard Hale was right: Huerta needed ammunition if he was to maintain power. Everyone knew Britain and Germany were about to go to war. The British Navy depended on Mexican oil, and the British – not caring much who controlled the country as long as they could pump oil – kept a mercenary army under their own general, Manual Perez, protecting the oil region. But Huerta’s forces controlled the ports, and the Germans were willing to supply arms to Huerta in return for blocking oil sales to Britain. Wilson, pro-British, but desperate to keep the United States out of the coming war, hoped that if neither the German nor the British had the clear advantage, the war could be avoided. United States intelligence officers had learned that the Germans were sending several shiploads of arms to Mexico. Carrenza and Huerta had both at various times threatened to cut off oil shipments – which would have kept the British out of the war, but also would cripple the U.S. economy (which even then was dependent on foreign oil imports). Carranza’s forces were slowly taking more and more control of the country, but were unlikely to capture Veracruz in time to stop the Germans from resupplying Huerta. On 6 April, six U.S. sailors were arrested in Tampico, still controlled by Huerta’s administration. The arrests were a mistake, and the sailors were returned to their ship. However, the United States was a new military power in the world, and U.S. officers had not always shown good judgment in Mexico. The United States Navy wanted respect: the ship’s captain demanded an apology from the Mexican Navy … and a 21-gun salute! The Mexicans, politely as possible, apologized for the sailors’ inconvenience, but refused the salute. The “insult to the Navy” received a fair amount of press in the United States. Given the feeling in the United States, this minor incident gave the President a plausible excuse to “avenge the national insult” – and incidentally to cut off Huerta’s arms supplies, and liberate Mexico from the tyrant. Or so it seemed. In 1914 the President of the United States was one of the few people in the world with a bedside telephone. He was still asleep at 6 A.M. on 21 April when he received a call confirming that the German ship, Yripanga, would be docking in Veracruz later that morning. Wilson had the White House operator set up a conference call between himself, his personal secretary, Secretary of State William Jennings Bryant and Navy Secretary Josephus Daniels. The operator and the President weren’t the only ones still in their pajamas that morning. Daniels was a pacifist, and Bryant had religious objections to warfare. Still, they agreed with Wilson that the only way to stop the Yripanga was to take over Veracruz. If the French had once invaded the city over unpaid doughnuts in Mexico City, the United States could take the Customs’ House in Veracruz to avenge an insult to its navy’s honor in Tampico. Daniels had orders sent by radio (a very recent technology) to naval ships in the Gulf of Mexico. Nothing went as planned. As the Spanish found out in 1828, the French in 183, Winfield Scott in 1847, and Maximiliano von Hapsburg in 1863, the “jarochas” do not welcome foreign invasions. In 1848, army cadets had defended Mexico City from United States marines. In 1914, the Naval Academy defended Veracruz. To protect the Marines, the Navy bombarded the city. Citizens joined the cadets. There were casualties on both sides, something a visably shaken and pale Wilson announced to the press the next day. Bryant, who felt personally responsible for the disaster, later resigned. The marines did complete their mission – occupying the Custom’s House. The Yripanga was an unarmed merchant freighter. Its captain was not about to enter a war zone. He turned his ship around. Mission accomplished. 2. Although meant to assist Carranza, even that plan went sour. What Wilson forgot was that Carranza was a very prickly nationalist and had never gotten over his boyhood meeting with Benito Juarez, who had struggled to keep all foreign governments out. Wilson, during his pajama conference, had not consulted the “legitimate” Consitituional Chief of Mexico before sending troops into the country. If the United States did not immediately evacuate Veracruz, the Constitutional Chief threatened to invade the United States, even if it meant joining forces with Huerta! He was bluffing, of course. Wilson was furious, but Carranza had made his point. He – not Huerta – was Mexico’s legitimate leader, and only he had the right to determine Mexico’s foreign policy. Henry Lane Wilson, who was still in Mexico City, was finally recalled. The United States sent a representative (not an ambassador3) to the Constitutionalist government, and other countries withdrew their recognition of Huerta’s government. The Marines took their time leaving Veracruz (they didn’t withdraw until November), by which time the whole occupation was pointless. Huerta was gone. The Revolution had gone on to a new phase by then. Worse yet for the Wilson administration, the Latin American nations had all sided with Carranza, and the United States was again seen as the aggressor in Mexico. Veracruz’s official name was changed after the invasion to “Three Times Heroic Veracruz” – its citizens had risen against invaders from Spain once, and from the United States twice. Harry S. Truman laid a wreath at the memorial to the Boy Heroes of Chapultepec in 1948. Truman was applauded at the time, but no one expected an apology for what had been a tragedy of war. The Veracruz invasion was seen differently. Mexico and the United States were not at war, and the intervention was simply for Woodrow Wilson’s political benefit. Bill Clinton offered an official apology in 1998. 1 Hale was an undercover agent for more than Wilson. He was also a German agent. 2 Sort of. The Yripanga unloaded down the coast in Huerta controlled Puerto Mexico. 3 To legalists like Wilson and Carranza, the terms used in foreign relations were important. Not being president, the constitutional chief could not receive an “ambassador”, but he could receive a “representative”. Meierijsche Courant, Dinsdag 21 April 1914. Dommelen. Dezer dagen geraakte bij het spoelen der wasch vrouw v. Weert alhier te water in den Dommel, die daar ter plaatse zeer diep is. Op haar hulpgeroep kwam zekere v. Och toesnellen die de drenkelinge op ’t droge wist te brengen. Een woord van hulde den kranige redder. Trenches had been dug, but these were not the formidable systems of 1916 that we think of when the phrase Trench System is used. The water table in Flanders is very high and this prohibited anything other than shallow trenches which then had to be reinforced upwards by means of sand bags and emplacements. In places the French front line was nothing but a series of discontinuous sections of shallow trenches. When one of the Tirailleur Officers arrived on the evening of 21st April to take over his section of the line on the Canadian left he described it as a cemetery. They couldn't dig down even if they wanted to because of the water level, and there were bodies everywhere still unburied from the winter battles. The more used a footpath was, the more likely it was to suddenly reveal a red trousered or feldgrau coated body. The French army had gone to war in 1914 in their famous red trousers which were totally unsuited to modern warfare. Long before they became known as the Poilus the French soldier was known as a pantalon rouge. Essad Pasha* returned to Albania and, with the help of Serbia, occupied Durrës and reconquered Tirana and central Albania, forming a new government, which again used the flag without the eagle, showing the Muslim preponderance (April 1915). This flag was adopted as the official flag of Albania by Essad's provisional government, following a decision of the Albanian Senate. The German ambassador was informed of this decision on 21 April 1915. Essad called himself in this note "President of Albania" and "General Commander-in-Chief". * Esad Pashë Toptani (ca. 1863 – June 13, 1920), primarily known as Essad Pasha, was Albanian politician in the early twentieth century. He was collaborating with the Balkan League during the occupation of Albania. He created a puppet state based in Durrës, called the Republic of Central Albania and fought against the Provisional Government of Albania led by Ismail Qemali. (...) Embarkation of the repacked and reorganized army at Alexandria had commenced on 10 April, and it arrived uneventfully at Lemnos during the following eight days. At this point in time, when the last shipping had returned to an enormously overcrowded Mudros Harbour, the deadline of 14 April had, of course, been abandoned. In addition to the problems involved in the reorganization of the invasion force at Alexandria elucidated above, the weather now occasioned further delays. The climate of the Aegean in spring is unpredictable, and during most of March and April storms had been capriciously alternating with fine days. On 21 April, when de Robeck hesitantly gave the signal to prepare to leave harbour and set sail for the beaches to launch the attack of 23 April, a gale descended upon the invasion fleet. Doubtful of the weather-resistant qualities of the miscellany of vessels involved (the fleet involved a motley collection of 200 warships, tramp and pleasure steamers, caiques, trawlers, liners; in short, any vessel that could be pressed into service as a troopship) de Robeck countermanded the signal. The attack was to be launched on 24 April. Duidelijk artikel... http://samilitaryhistory.org/vol064sm.html Mooie site trouwens! In reply to the Welcome address read by Mr. G. A. Natesan on behalf of the Indian South African League, at a meeting at the Victoria Public Hall, Madras, on the 21st April 1915, with Dr. Sir Subramania Iyar in the Chair, Mr. Gandhi said - Mr. Chairman and Friends, - On behalf of my wife and myself I am deeply grateful for the great honour this you here in Madras, and may I say, this Presidency, have done to us and the affection that has been lavished upon us in this great and enlightened - not benighted - Presidency. If there is anything that we have deserved, as has been stated in this beautiful address, I can only say I lay it at the feet of my Master under whose inspiration I have been working all this time under exile in South Africa. (Hear, hear). In so far as the sentiments expressed in this address are merely prophetic. Sir, I accept them as a blessing and as a prayer from you and from this great meeting that both my wife and I myself may possess the power, the inclination, and the life to dedicate whatever we may develop in this sacred land of ours to the service of the Motherland. (Cheers). It is no wonder that we have come to Madras. As my Friend, Mr. Natesan, will perhaps tell you, e have been overdue and we have neglected Madras. But we have done nothing of the kind. We know that we had a corner in your hearts and we knew that you will not misjudge us if we did not hasten to Madras before going to the other presidencies and to other towns. But, Sir, if one-tenth of the language that has been used in this address is deserved by us, what language do you propose to use for those who have lost their lives, and therefore finished their work on behalf of your suffering countrymen in South Africa? What language do you propose to use for Magappan and Narayansawmy, lads of seventeen or eighteen years, who braved in simple faith all the trials, all the sufferings, and all the indignities for the sake of the honour of the Motherland (Cheers.). What language do you propose to use with reference to Valliamma, that sweet girl of seventeen years who was discharged from Maritzburg prison, skin and bone suffering from fever to which she succumbed after about a month's time (Cries of shame). It was the Madrassis who of all the Indians were singled out by the great Divinity that rules over us for this great work. Do you know that in the great city of Johannesburg, the Madarasis look on a Madrasis as dishonored if he has not passed through the jails once or twice during this terrible crisis that your countrymen in South Africa went through during these eight long years? You have said that I inspired these great men and women, but I cannot accept that proposition. It was they, the simple-minded folk, who worked away in faith, never expecting the slightest reward, who inspired me, who kept me to the proper level , and who inspired me by their great sacrifice, by their great faith, by their great trust in the great God, to do the work that I was able to do. (Cheers). It is my misfortune that my wife and I have been obliged to work in the lime-light, and you have magnified out of all proportion (crisis of 'No ? No ?') this little work we have been able to do. Believe me, my dear friends, that if you consider, whether in India or in South Africa, it is possible for us, poor mortals-the same individuals, the same stuff of which you are made if you consider that it is possible for us to do anything whatsoever without your assistance and without your doing the same thing that we would be prepared to do, you are lost, and we are also lost, and our services will be in vain, I do not for one moment believe that the inspiration was given by us. The inspiration was given by them to us, and we were able to be interpreters between the powers who called themselves the Governors and those men for whom redress was so necessary. We were simply links between those two parties and nothing more. It was my duty, having received the education that was given to me by my parents to interpret what was going on in our midst to those simple folk, and they rose to the occasion. They realised the might of religious force, and it was they who inspired us, and let them who have finished their work, and who have died for you and me, let them inspire you and us. We are still living and who knows whether the devil will not possess us tomorrow and we shall not forsake the post of duty before any new danger that may face us, But these three have gone for ever. ’Misschien waren de moedigste van allen wel degenen die niet op moed waren voorbereid, de boodschappers, de mannen van de voedselvoorziening, de ziekendragers. 'Velen leden liever honger dan die gevaarlijke tochten te maken om voedsel te krijgen,' schreef een Duitse soldaat in april. De Franse 'hommes-soupe' die bij het aanbreken van de dag terugkeerden dwars door het mitrailleurvuur, verklaarden eveneens dat zij het nooit meer wilden doen, toch 'zag men ze 's avonds weer gaan op hun onzekere tocht door velden en greppels'. Aan de rechteroever bleef het vechten ten zuiden van Fort Douaumont en rondom de nabijgelegen steengroeven van Haudromont aanhouden. Het front verschoof hier nooit meer dan een kilometer en het dichte gordijnvuur van de artillerie aan beide zijden ging onophoudelijk door. Op 1 mei hadden de Duitsers bij Verdun 120.000 man verloren, de Fransen 133.000. Op 21 april kwam de Kroonprins tot de slotsom dat 'een beslissend succes bij Verdun slechts verkregen kon worden ten koste van zware offers die absoluut niet opwogen tegen de gewenste doelen'. Knobelsdorf was echter resoluter dan ooit en haalde Falkenhayn over het 5e leger toe te staan om een nieuwe massale aanval aan de rechteroever te ondernemen. Knobelsdorfs ijzeren wil had het gewonnen van de veranderde inzichten van de Kroonprins. The Australian and New Zealand Mounted Division was formed in Egypt in March 1916 from the four Australian and New Zealand mounted brigades assigned to ANZAC. These brigades had fought at Gallipoli as infantry. After the formation of the Australian Mounted Division in June 1917, the division became known as the Anzac Mounted Division. Even before the division had finished forming, the 1st Light Horse Brigade was sent to the Western Desert to fight the Senussi while the rest of the division moved to the Suez Canal, relieving the 1st Division, which moved to the Western Front. The division soon became involved in raiding the Turkish positions. An attempt by the Turks to attack the Suez Canal in August 1916 resulted in it being intercepted and defeated by the Australian and New Zealand Mounted Division in the Battle of Romani. 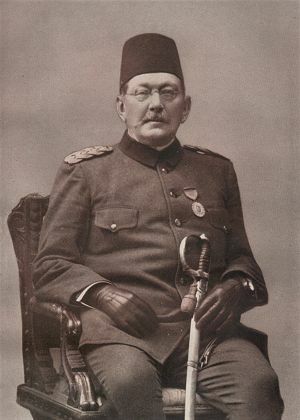 The division followed up its victory, pursuing the Turks to the Palestine frontier, capturing major Turkish positions at Magdhaba in December 1916 and Rafah in January 1917. In March 1917 the division captured Gaza in the First Battle of Gaza but was ordered to withdraw. It played a minor role in the Second Battle of Gaza before participating in the Third, successful Battle of Gaza in October 1917. Afterward it pursued the enemy as far as Jaffa. Weapons were supplied by Germany under the auspices of a leading human rights campaigner, Sir Roger Casement—including over 20,000 rifles and 10 machineguns. However, the plot was discovered on 21 April 1916 and the weapons were lost when the ship carrying them, the Aud, was scuttled to prevent the arms from falling into the hands of the British. 21/4/17 Dear Mother, A great feast of letters reached me yesterday -- Marjorie's of March 16, Frances's of the 18th, Father's of the 19th, yours of the 22nd; also one from Rex at Ottawa; and one from Dorothy Harrington accompanied by a box of toffee. The little parcel from the church came to-day. Marjorie's news budget was full of interest as usual. I see the Chairman of the music committee still finds scope for his tact and patience, and will, I expect, to the end of the story. I am so sorry to hear of the O'Briens' trouble. I shall drop Chester a line at his office. I suppose it will reach him. It is lovely for them to be able to go south. Hope Mrs. Grimshaw is well and away north with the girls when this reaches you. Come to think of it, I suppose Kate will have been and gone and graduated when this arrives. Wish I could be there to congratulate her; but Marjorie will have to do it for me. I was much interested in Frances's account of her day in the world of labour. Reminds me of my boot-salesmanship at Simpson's. Stamping letters would hardly be worthy [of] her intellectual qualities as a permanent occupation; but it would be good for her to get a glimpse of how a great many girls earn their living. Most of her letters must have come, I think. I seem to have had them fairly often; and I do appreciate them, for I know just how hard it is to write letters when you're full up with study, and haven't much surplus fat to come and go on. Bless her heart! I think I must have mentioned how much Alf likes her letters. I send most of my home letters to Leicester -- if there'snothing really private in them. Louie loves to see them, and of course she keeps them for me, which I couldn't do out here. Father's speculations as to my whereabouts were rather amusingly inaccurate, making me feel as though I must have overdone myself in strict adherence to the censorship regulations. As you know by this time I've really been away from the line altogether most of the time since the push began. The less you trouble yourselves as to my movements, the better. it could not matter in the least if I told you everywhere I'd been; but rules are rules, and I can't see my way to treating them so loosely as I know some people do. When I am away from my unit of course, I needn't be so particular. Our course here really is ended. We may get orders to report to the R.T.O. to-morrow or they may be delayed. It has been a very pleasant and profitable three weeks, even if I am never called on for transport duties. We have had a good deal of rain; but it has not been unduly cold, considering our comfortable quarters. Spring is very late, though; only here and there do the buds show any sign of life. I saw the first leaves coming out to-day. Have seen few birds except magpies and sparrows of the John Bull variety. Yesterday, however, I saw some little birds on the ground which I guessed to be gold-finches. They didn't fly, so I couldn't be sure. Speaking of birds -- what a charming interpretation of the mocking-bird and his song was that quoted in the "Globe" book-review Father sent! I always enjoy the little clippings -- even the "keeping up with the Joneses." They seem to bring a bit of home; though I must confess that the picture they bring is of our little cubby-hole dining-room at 71 Bismarck, and the couch decorated with some airing underwear and the "Star" and "Globe." Quite away from the reality I dare say but a pleasant picture none the less. It is about as difficult, I believe, for me to make a picture of the actual lay of things at Kendal Ave., as it is for you to image my surroundings. I had a dear letter from Dorothy Harrington -- not as slangy as usual; but full of her whimsical individuality. What a brave little soul she is! trying to put the best face on life, and not getting much encouragement I fancy. Things must loom a bit depressingly at times to one with her nurture and upbringing. She's always been a favorite of mine, you know, since the Wolfville days. If there weren't so many fundamental -- but then there are. But in spite of her (as I think) warped standards of life, as a friend she is a true-blue, born-to-the-purple. I know Marj. will agree. Well this has been quite a ramble, hasn't it? But I've rather shirked writing this week, until your batch of letters set me going. Don't know where I'll be at next writing; but wherever it is, I'll be after loving you every minute of the time and every foot of the way, as I do now. Till then, and forever, Bun. P.S. I enclose a bit of a "pome" evolved by spasms extending over a considerable period, though for poetic reasons we call it an hour. The Battalion relieved the 7th Royal Fusiliers on the front and support trenches. Heavy shelling during relief. Relief completed at 5am on 22nd. Meierijsche Courant, Zaterdag 21 April 1917. Valkenswaard. Gisteravond overleed op 45-jarigen leeftijd de WelEd. heer L. Pijnenburg, in leven Directeur Van Gend & Loos, H. Colignon & Cie., te dezer plaatse. Ruim 28 jaar in dienst der Maatschappij, was de heer Pijnenburg sedert de oprichting van het kantoor Valkenswaard (1901) hier werkzaam. In deze periode heeft hij zich doen kennen als een plichtvol nauwgezet ambtenaar, die op prettige, vriendelijke, hartelijk welwillende en humane wijze wist om te gaan met publiek en personeel. Zeer zeker mocht onze directeur dan ook aanspraak maken op de volle sympathie van elkeen; inderdaad genoot hij deze welverdiende en ook welbestede sympathie en hoogachting van geheel Valkenswaard en iedereen daarbuiten, die den overledene gekend hebben. En met zeer groot leedwezen zullen allen het zoo vroegtijdig verscheiden van den heer Pijnenburg vernemen. De Maatschappij Van Gend & Loos verliest in den heer Pijnenburg een bekwaam en hoogst ijverig lid der plaatselijke directie; onze gemeente mét haren "Van Gend & Loos"-directeur een zeer gezien burger, wiens nagedachtenis steeds in hooge eere zal blijven. The Battle of Dover Strait was a naval battle of World War I, fought in the Dover Strait on the night of 20 April 1917, which carried on into early 21 April. Whilst part of a six destroyer raid on the Dover Straights they were intercepted by the British destroyer leaders Swift and Broke. In the ensuing battle G85 was torpedoed and sunk and Broke rammed G42 and sank. Op 20 april 1918 maakte hij zijn tachtigste en laatste slachtoffer; een Sopwith Camel van de Royal Air Force. Een dag later vond Von Richthofen zelf de dood boven het slagveld toen hij de Canadees Wilfrid May laagvliegend achtervolgde. Er zijn aanwijzingen dat hij door één kogel in het hart werd getroffen, waarschijnlijk afkomstig van een mitrailleur op de grond. Een aantal soldaten beweerden hem neergeschoten te hebben, Captain Roy Brown (vanuit een vliegtuig), Gunner Robert Buie (vanaf de grond), Sergeant Popkin (vanaf de grond) of Evans (vanaf de grond). Volgens een onderzoek uitgevoerd door The Discovery Channel voor een documentaire over Von Richthofen bleek dat Evans het dodelijk schot heeft gevuurd. Over Evans is verder weinig bekend. Hij heeft geen familie meer en verdere beelden zijn niet bekend. Het verlies van Von Richthofen was een verpletterende slag voor het Duitse moreel. In zijn tijd heeft Von Richthofen een reeks onderscheidingen ontvangen, waaronder het IJzeren Kruis (1e en 2de klasse), de militaire Heinrichsorden, de Roter Adlerorden de drie Hanseatenkruisen en de Orden Pour le Mérite. Turkije schonk hem de IJzeren Halve Maan. Zijn score van 80 overwinningen is door geen enkele gevechtspiloot in de Eerste Wereldoorlog overtroffen. Het graf van Von Richthofen ligt in het Südfriedhof te Wiesbaden in Duitsland. 21 April 1917 - Foundation of the Imperial War Graves Commission. The Imperial War Graves Commission was later renamed the Commonwealth War Graves Commission. It is responsible for erecting and maintaining war Memorials and cemeteries. Eddy Christiani (Den Haag, 21 april 1918) is een Nederlands gitarist en zanger, componist en tekstschrijver. Christiani is nog steeds actief als zanger, al treedt hij sedert 2008 niet meer in zalen op. Met zijn lied Ouwe Taaie (Yippy Yippy Yay) krijgt Eddy problemen met de Duitse censuur, het lied wordt verboden. Christiani weigert lid te worden van de Kultuurkamer en duikt onder in België. A7V - Allegmeine-Kriegs-Department 7, Abteilung Verkehrswesen (General War Department 7, Traffic Section) was designed in January of 1917 by Reserve Captain and Engineer Joseph Vollmer.General War Department 7, Traffic Section was raised in September of 1916, after first British tanks appeared on the battlefield. On November 13th of 1916, the German Army decided to build tanks and overall project was under direction of Joseph Vollmer.New tank was to be a universal platform to be used as a base for both a tank and cargo carrier.It was based on Holt tractor of which parts were obtained from Austria, where it was produced under licence.Vehicle was powered by two centrally mounted 100hp Daimler engines with commander’s cupola / compartment above them. First prototype was completed by Daimler-Benz and tested in April of 1917. The wooden mock-up of a final version was ready in May of 1917. First pre-production A7V was produced in September of 1917, followed by production model in October of 1917. All tanks received nicknames (e.g. Mephisto, Wotan, Isolde etc.) and were grouped in 1st, 2nd and 3rd Abteilung.It had its tank vs. tank debut against British tanks on March 21st of 1918 at St. Quentin and on April 21st at Villers-Bretonneux / Cachy. Only 20 out of 100 ordered (in December of 1917) were produced due to the steel shortages and overall low priority of the project. A7V was unstable and had a very poor trench-crossing performance due to its track design and minimal ground clearance.Two production types existed, early type with hull sides made of number of pieces (with large number of rivets) and late type with one piece hull sides.There were other numerous differences between individual tanks since all parts were handmade and made to fit given tank.In addition, its poor quality armor plates offered little protection for 18 men (in some cases 22 men) crew composed of artillerymen, infantrymen and mechanics.The main armament consisted of 57mm (Russian Sokol or Belgian Maxim Nordenfeld) gun and six heavy machine guns. Additional weapons were carried by the crew of whom some fought alongside the tank during combat.Along with A7V tanks, 30 to 75 unarmored cargo carriers - Uberlandwagen / Gelandewagen were produced. Some cargo carriers were fitted with ditch digging machinesFollowing the WWI, few (5?) tanks were received as reparations from Germany by Poland and pressed into limited service from 1919 to 1922, during the Polish-Soviet War but it has not been proven if Poland really received any A7V tanks.Today, original A7V Mephisto captured by Australian troops in 1918, can be seen in the museum in Brisbane, Queensland in Australia.Full scale replica build modelled after the original Mephisto can be seen at Panzermuseum at Munster, Germany. The Treaty of Warsaw (also the Polish-Ukrainian or Petlura-Piłsudski Alliance or Agreement) of April 1920 was an alliance between the Second Polish Republic, represented by Józef Piłsudski, and the Ukrainian People's Republic, represented by Symon Petlura, against Bolshevik Russia. The treaty was signed on April 21, 1920, with a military addendum on April 24. The alliance was signed during the Polish-Soviet War, just before the Polish Kiev Offensive. Piłsudski was looking for allies against the Bolsheviks and hoped to create a Międzymorze alliance; Petlura saw the alliance as the last chance to create independent Ukraine. Mr. LYLE asked the Prime Minister if he will inform the House of the progress and results of the self-determination of various peoples included in the former German Empire as stipulated by the Peace Treaty? Mr. BONAR LAW The only plébiscite which has yet ben held under the Treaty of Versailles is that of Schleswig. There 390 the result of the vote in the Northern Plébiscite Zone was in favour of Denmark, and that in the Southern Plebiscite Zone was in favour of Germany. The International Commission charged with administering the vote will presumably shortly submit their Report to the Ambassadors' Conference, by whom the final decision as to the disposal of this area will be taken. Arrangements for holding the other plebiscites necessitated by the Treaty are making progress. Maandag 21 april  - Het grootste passagiersvaartuig ter wereld, de Duitse Imperator, vertrekt voor een proefvaart uit Hamburg naar Amerika, maar loopt in de Elbe meteen al aan de grond. 1916 - Brits-Indische troepen lijden een zware nederlaag tegen de Turken bij Bagdad. 1917 - Einde van het Brits-Canadees offensief in Artois. 1918 - De duitse toppiloot Manfred von Richthofen wordt nabij Cappy in Frankrijk neergeschoten en komt daarbij om het leven. Op 20 april 1918 maakte hij zijn tachtigste en laatste slachtoffer; een Sopwith Camel van de Royal Air Force. Een dag later vond Von Richthofen zelf de dood boven het slagveld toen hij de Canadees Wilfrid May achtervolgde. Er zijn aanwijzingen dat hij door één kogel werd getroffen, waarschijnlijk afkomstig van een mitrailleur op de grond. Een aantal soldaten beweerde hem neergeschoten te hebben, Captain Roy Brown (vanuit een vliegtuig), Gunner Robert Buie (vanaf de grond), Sergeant Popkin (vanaf de grond) of Evans (vanaf de grond). Volgens een onderzoek uitgevoerd door The Discovery Channel voor een documentaire over Von Richthofen bleek dat Evans het dodelijk schot heeft gevuurd. Over Evans is verder weinig bekend. Hij heeft geen familie meer en verdere beelden zijn niet bekend. Het verlies van Von Richthofen was een verpletterende slag voor het Duitse moreel. In zijn tijd heeft Von Richthofen een reeks onderscheidingen ontvangen, waaronder het IJzeren Kruis, de militaire Heinrichsorden, de Roter Adlerorden en de Orden Pour le Mérite, beter gekend onder zijn bijnaam: blauwe max. Zijn score van 80 overwinningen is door geen enkele gevechtspiloot in de Eerste Wereldoorlog overtroffen. Het graf van Von Richthofen ligt in het Südfriedhof te Wiesbaden in Duitsland. Zijn Flying Circus werd overgenomen door de latere nazi-leider Hermann Göring. A sketch view across a flat landscape with a tree in the centre foreground, looking towards the buildings of Saint-Quentin ablaze after being set on fire by retreating German forces. A large cloud of smoke drifts skywards. Pitirim Sorokin (1889-1968) was een Russische (later Amerikaanse) socioloog. Selecties uit zijn dagboeken zijn in het Nederlands verschenen als Bladen uit een dagboek (vertaald door Tinke Davids). Vandaag hebben we een echt voorproefje gekregen van wat de opstand van het gepeupel inhoudt. De nota van het ministerie van buitenlandse zaken waarin werd meegedeeld dat de Voorlopige Regering alle verdragen en verplichtingen van Rusland met de geallieerden gestand zou doen, werd fel aangevallen door de sovjets en door de Bolsjeviki, die hierin een verklaring zagen ten gunste van 'annexaties en brandschatting' en van oude imperialistische ambities. Voor ieder redelijk denkend mens is het absurd te spreken van 'annexaties' door een Rusland dat al halfdood is. De ware bedoeling van de aanval was natuurlijk de 'bourgeois'-regering ten val te brengen. Honderden propagandisten houden redevoeringen, overal in de stad, ze protesteren en roepen op tot demonstraties. Honderdduizenden proclamaties die vragen om opstand en het ontslag eisen van Miljoekov en andere 'kapitalistische' ministers, hangen in fabrieken, kantoren, kazernes en op de muren. Overal worden vergaderingen gehouden, in de open lucht en binnenshuis. Behalve bolsjevistische sprekers zijn er anderen die het beleid van de Regering verdedigen. Gewelddadige toespraken worden vaak gevolgd door vechtpartijen. Vandaag kwam omstreeks het middaguur het gerucht dat twee regimenten, in volle wapenrusting, uit hun kazernes waren vertrokken om de relschoppers bij te staan. Er werd geschoten. Overal plunderden misdadigers de winkels. Die situatie leek op die van de eerste dagen van de antitsaristische revolte, maar destijds waren burgers nog in staat geweest de massa onder controle te houden. Gisteravond laat zijn de relschoppers voor een tijdje verjaagd, maar hun doel hadden ze al bereikt. De Regering heeft meegedeeld dat Miljoekov wordt ontslagen.